It’s almost a requirement these days for a German automaker to produce a more powerful, and more fun to drive sport sedan edition of each and every one of its standard four-door automobiles. 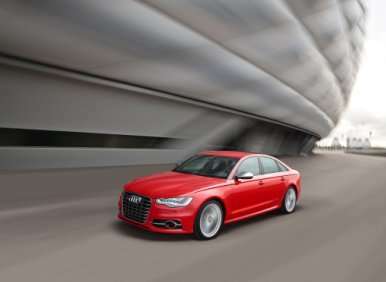 Audi is no exception, and the 2013 Audi S6 continues the car company’s tradition of delivering lightning-quick, impressively-tuned S versions of its well-received A6 mid-size sedan. Given that the A6 was recently given a thorough redesign, it is only natural that a new S6 debut shortly thereafter – a model that like the car it is based on, features a number of significant changes when compared against its predecessor. 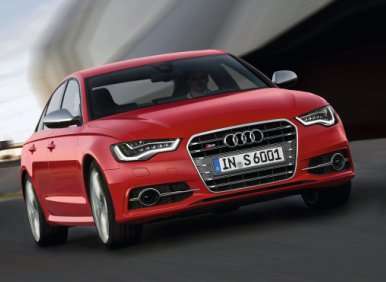 Let’s take a look at 10 things you need to know about the 2013 Audi S6. 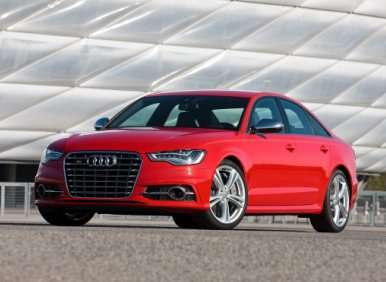 The 2013 Audi S6 can claim significant lineage with the Audi S7 mid-size hatchback. 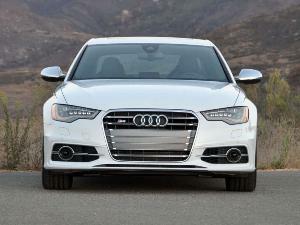 The Audi S6 sedan makes use of the same platform as the S7, with a few notable differences. The lack of a rear hatch and the heavy glass that comes with it combines with a sight shrinking of the S6’s overall dimensions to give it a 100 pound weight advantage over its corporate stable mate. The S6 also abandons the sharply-sloping roofline of its sibling, adopting a traditional sedan look that comes across as more conservative but still handsome. From a running gear perspective, however, the two models are twins. Perhaps the biggest change – on paper – between the previous generation S6 and the 2013 Audi S6 can be found in the engine bay. Gone is the Lamborghini-sourced 5.2-liter V-10 and in its place is a smaller-displacement 4.0-liter V-8 fed by twin turbochargers. Good for 420 horsepower and 406 lb-ft of torque, the production penalty associated with losing two cylinders from its overall count isn’t quite pronounced as one might first expect: the V-8 is down 15 horses, but gains 8 lb-ft of twist. Consider, too, that the version of this turbocharged engine that is found in the Audi S8 pumps out 100 additional ponies, and the S6’s tuning potential becomes clear. 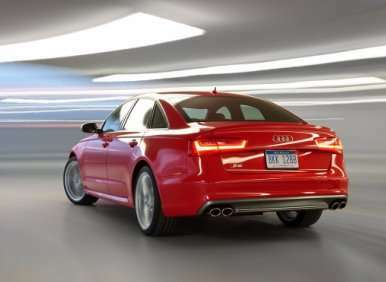 The 2013 Audi S6 is outfitted with the brand’s quattro all-wheel drive system as standard equipment. Quattro plays an important part in making sure each of the Audi S6’s 400+ horses makes it to the pavement with a minimum of drama, and it gives the sport sedan a legitimate claim as a four-seasons ride. Also offered free of charge with the Audi is a seven-speed dual-clutch automated manual transmission. This gearbox can be left in auto-mode where it will happily shift itself or it can be driven like a traditional manual, delivering ultra-rapid ratio changes via steering wheel-mounted paddles controllable by the driver. The decision to reduce the 2013 Audi S6’s cylinder count was motivated in part by a desire to lower the amount of fuel consumed by the high performance beast. 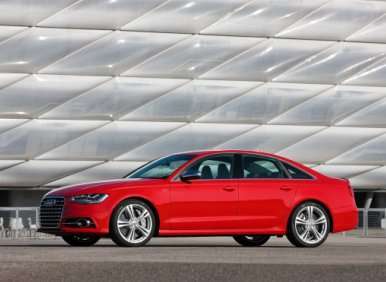 The Audi S6 turns in EPA fuel mileage figures of 17-mpg in stop and go driving and 27-mpg on the highway. 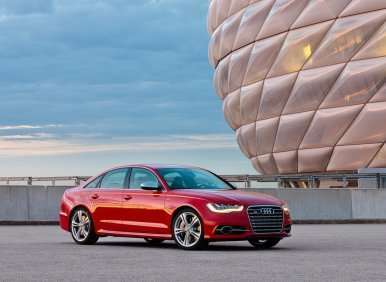 Audi claims that, taken together, this represents an approximately 25% improvement over the version of the sedan that the 2013 model replaces. In addition to featuring a smaller engine, the new S6 is lighter (by 88 lbs), comes with a cylinder deactivation feature that allows the automobile to cruise on just four-cylinders, and also offers efficient twin-scroll turbochargers, improved variable valve timing, and smaller cylinder sizes. It’s engine is smaller, and it possesses two fewer cylinders – that means that the new Audi S6 must be slower than last year’s edition, right? Wrong. 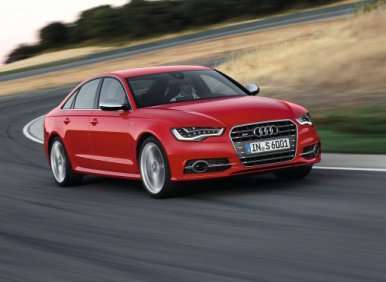 The 2013 Audi A6 is in fact a second quicker to 60-mph than it was in 2012, posting a very impressive time of 4.8 seconds. 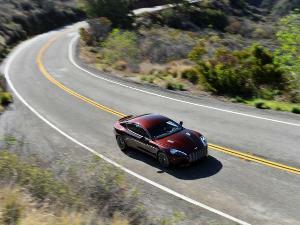 This is quick enough for two-seat sports car owners to be nervously checking their rearview mirrors. The launch control feature that comes with the Audi S6 plays a major role in helping the big sedan accelerate so rapidly, as it takes the tire smoke out of getting off of the line, and some independent tests have been able to cut nearly another full second off of its sprint to 60-mph. The 2013 Audi S6 might weight in at two tons, but Audi has given the car a number of technological and engineering advantages that conspire to make it the best-handling S6 of the past decade The Audi S6’s quattro all-wheel drive system is designed to offer a rear bias, which means that under normal driving 60 percent of engine torque is sent to the back axles. This number can be shifted to take into account surface traction, with as much as 80 percent of torque moving to the rear or 70 percent to the front under certain conditions. A torque-vectoring rear differential that can shuttle output from one side of the car to the other is also available with the S6 as an option. Throw in a stiff sport suspension system, the Audi Drive Select system, and sticky rubber, and the S6 turns in a 0.87 g performance on the skid pad. Audi does not typically festoon its S series sedans with all manner of eye-catching body work, but the 2013 Audi S6 does come with a few unique touches that set it apart from its more affordable counterpart. In keeping with tradition, the Audi S6 features polished aluminum side mirrors, and it also comes with its own grille treatment and a more aggressive front fascia that highlights the vehicle’s air intakes. Out back, the four exhaust outlets – two on each side – are immediately noticeable, while a spoiler sits on the sedan’s trunk lid. Two special colors (Estoril Blue and Prism Silver) can also be ordered with the Audi S6, and the car sits lower than the base A6, giving it a sportier stance. 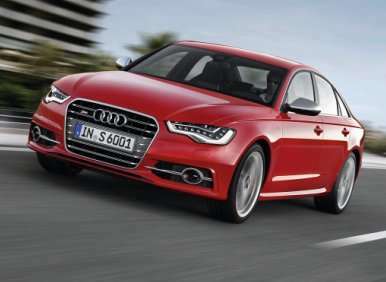 The 2013 Audi S6 can be loaded with a respectable quotient of high end features and comforts. HID headlights, heated leather seats with power adjustment, a navigation system, a 3G in-car wireless internet system, a navigation system, parking assistance, a rearview camera, Bluetooth, and four zones of automatic climate control are all provided as standard fare with the Audi A6. Optional gear for the sedan includes a heated rear seat and steering wheel, a ventilation and massage feature for the front seats, adaptive cruise control, a night vision system, 20-inch rims, an upgraded sound system, and LED headlights. It’s also possible to choose between metallic and wood trim inside the cabin of the Audi S6, with the latter coming in several different varieties. The 2013 Audi S6 isn’t just a fast, luxurious sedan – it also comes with some of the most up-to-date safety equipment in the business. 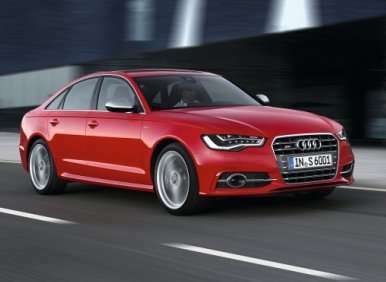 All versions of the Audi S6 feature seat-mounted side airbags up front, forward airbags, knee airbags for those riding in the first two positions, and side curtain airbags that protect all passengers inside the automobile. Electronic stability control and traction control are also included free of charge with the S6. Optional gear that can be installed in the Audi includes side airbags for the rear seating positions, an automatic braking system that can detect forward collisions, a blind spot monitoring system, and a lane departure warning system. The 2013 Audi S6 is up against some of the toughest competition in the industry when it comes to combining performance and luxury. Although it might not offer the same gaudy horsepower figures, the Audi S6 will cross-shopped against vehicles like the BMW M5, the Mercedes-Benz E63 AMG, and the Cadillac CTS-V. 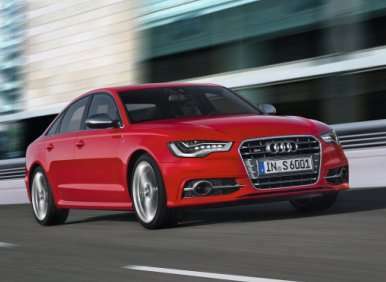 Despite being down on power, one of the advantages that the S6 enjoys over these rivals is its quattro all-wheel drive system and its smooth, unpunishing ride – two factors that are important when evaluating a daily-driven sport sedan. In the final measure, the all-weather versatility and comfortable suspension tuning of the Audi S6 will count more for some buyers than slightly slower lap times.